The water-filled pool within the leaves of a pitcher plant is a tiny ecosystem, whose inner workings are similar to those of a full-scale water body such as a lake or pond. Each pitcher-shaped leaf holds about a quarter of an ounce of rainwater and inside is a complex, multilevel food web of fly larvae and bacteria. The plants were used in a study as models for ecosystem change. 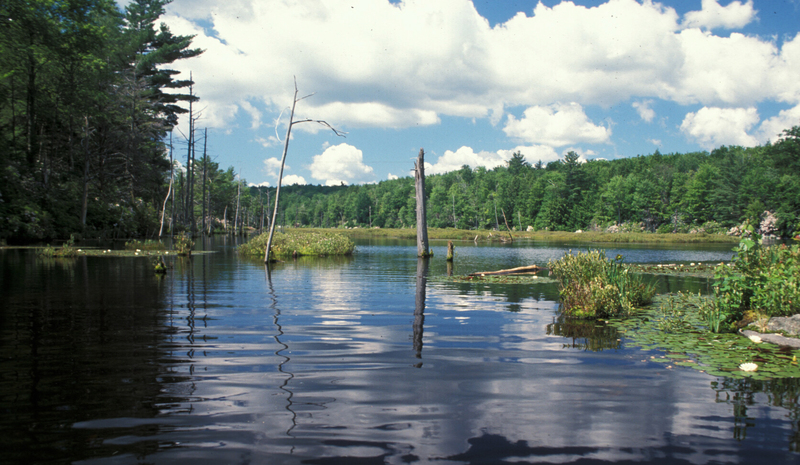 The National Science Foundation (NSF)-funded study, which was led by Harvard Forest senior ecologist Aaron Ellison and Jennie Sirota, a 2012 Harvard Forest Summer Research Program participant from North Dakota State University, investigated the factors that cause some lakes and ponds to shift from clear, oxygen-rich states to irreversible green sludge. Those green ponds have passed a critical threshold, called a "tipping point"--a situation in which an ecosystem experiences a shift to a new state, with significant changes to biodiversity. Until now, the mechanisms behind those tipping points were poorly understood. Instead of conducting their work in a pond or lake, the researchers used the tiny confines of the carnivorous pitcher plant (Sarracenia purpurea). These plants host complex aquatic environments and food webs that are strongly impacted by changes in nutrient levels, just as life in lakes and ponds can be disrupted when too many nutrients--such as in fertilizers and pollution--overload the system. When that happens, these aquatic ecosystems can cross "tipping points" and change drastically. Excess nutrients cause algae to bloom and bacteria eating the algae use up oxygen in the water. The result is a murky green lake. "The first step to preventing tipping points is to understand what causes them in the first place," said Ellison, "and for that you need an experiment where you can demonstrate cause and effect." says Ellison. "The same mathematical models can be used to describe either a pitcher plant ecosystem or a lake." "These researchers have looked at the minute ecosystems that thrive in pitcher plant leaves to determine early warning signals and to find ways of predicting and possibly forestalling such 'tipping points,'" says Saran Twombly, a program director in NSF's Division of Environmental Biology, which funded the research. This research was supported by NSF grants DBI 10-03938, DEB 11-44055 and DEB 11-44056. 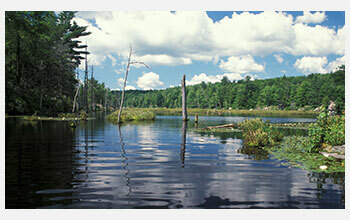 The Harvard Forest is an NSF Long-Term Ecological Research site in Massachusetts. Images and other media in the National Science Foundation Multimedia Gallery are available for use in print and electronic material by NSF employees, members of the media, university staff, teachers and the general public. All media in the gallery are intended for personal, educational and nonprofit/non-commercial use only. Images credited to the National Science Foundation, a federal agency, are in the public domain. The images were created by employees of the United States Government as part of their official duties or prepared by contractors as "works for hire" for NSF. You may freely use NSF-credited images and, at your discretion, credit NSF with a "Courtesy: National Science Foundation" notation. Additional information about general usage can be found in Conditions. Use your mouse to right-click (Mac users may need to Ctrl-click) the link above and choose the option that will save the file or target to your computer.